If you are a resident of San Diego, there are all sorts of rebates out there that can help you save money on your bills, and also help you conserve water and energy. You can access these things and much more at discounted prices by taking advantage of the rebates and savings offered by the City of San Diego, SDG&E, SoCal WaterSmart, and the Center for Sustainable Energy. If you need help accessing these rebates after reading through this, call Patrice at 619 540 0430. In this article I’ll run you through the rebates and discounts you can get, and some information regarding each one. 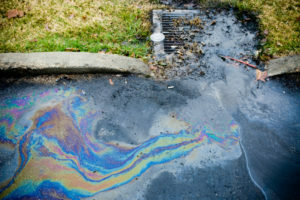 In our urban and suburban neighborhoods, where there is more concrete and asphalt than there are patches of green or brown, rainwater moves across all those impermeable surfaces, picking up pollutants along the way and delivering them to our rivers and ocean. (This is demonstrated in this wonderful video featuring local EarthLab students.) 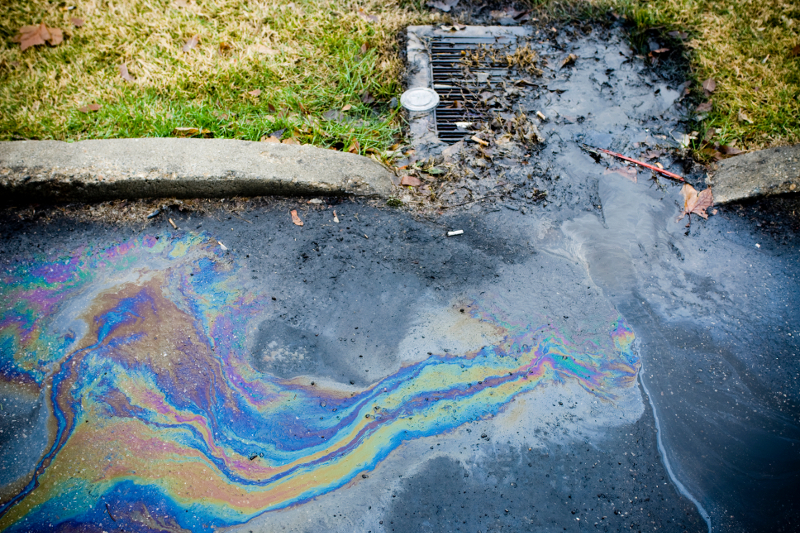 The rainwater picks up oil, grease and dirt from the roadways, and carry trash into the waterways and storm drains. After every rain, the City of San Diego has to close the beaches as the bacteria contamination in the water is at unsafe levels for people to be swimming in. Stormwater runoff pollution is a challenge for most cities, intensifying the negative effects urban development has on the environment. A great way to do your part in preventing stormwater runoff, is to make use of the rainfall to irrigate your garden or landscaping. Two seperate Rain Barrels and Cisterns rebates are offered through SoCal Watersmart and the City of San Diego Transportation and Stormwater department. The link below has all the information you need to get your rebate of up to $1 per gallon (maximum is $400) and other information about the installation and how to have it irrigate your landscaping. From a general estimate of Rain Barrel prices, they seem to be priced more or less around $100 for a 50 gallon barrel. With that price, you could save 50% the purchase price after your rebate. The minimum size of rain barrel for this rebate is 45 gallons. The SoCal Water$mart program is ran through the Metropolitan Water District of Southern California, and has plenty of other rebates for both residential and commercial applicants. I’ll point out more of these rebates as we continue. This rebate has a minimum size of 50 gallons for rain barrels and 200 gallons for cisterns. For each rain barrel (up to two rain barrels) you will receive a rebate of $35, and rebates for a cistern depends on size, from $250 back for a 200-500 gallon cistern, up to $350 back for a cistern exceeding 1000+ gallons. According to SoCal Water$mart, you are free to take advantage of both these rebates for the same rain barrel. According to the page linked above, a family of four could reuse 22,000 gallons each year by using the rinse water from their washing machine. Graywater systems, sometimes known as Laundry to Landscape systems are pretty straightforward: they take the water from your washing machine and funnel them into your landscape instead of down the drain, making use of the perfectly clean water to take care of your garden. Just use an environmentally friendly laundry detergent for your loads, and you can start saving water and money with this simple, but innovative system. With this rebate, you could save $150-$250 on your no-permit Graywater system. If you get more complex setup going, with water from your bathtub and shower, and more plumbing work required, then you might have to get a permit to install your system, which has been made a much easier process after 2013. You could save up to $1000 on materials and permitting fees for those more complex systems requiring a permit. To learn more about the efficiency of your current water usage, consider having a free water survey done on your home. A specialist will come out and check for leaks and water saving opportunities, as well as provide you some pieces of equipment and information to help you begin saving water. A lot of the survey will be in the home, but if you have a landscape, this can be very important to maximizing your water usage on your garden or lawn. If having an expert in water efficiency visit your home and fill you in on everything you could be doing to save money and water sounds good to you, then set up your survey below. Just like the website reminds us, it’s not a great feeling to see a sprinkler furiously watering the concrete of the sidewalk, while wholly ignoring the landscape it was meant for. This could be your home! Rotating sprinkler nozzles are easy to position to make sure that you’re watering what you need, and nothing else. They save 20% more water than conventional spray heads. The rebate is for a minimum of 30 Sprinkler Nozzles, and will save you at least $2 per nozzle. They can run from around $3 – $8 a nozzle in stores, so this is a pretty good chunk of savings you could take advantage of. Why stop at the sprinklers? We’re headed in the right direction, and the next stop on your path to smaller bills and conserving water is a “smart” irrigation controller. This controller uses weather data to set your watering time according to the temperature. If the day is cool, you’ll need less water for your landscape, and this controller will automatically calculate and limit or extend the watering time. These controllers can prevent overwatering your landscape by 13,500 gallons a year, and save you 700$ over their lifetime. Based on a few of the models listed on the site, one of these devices will run you from around $100 – $300. The rebate starts at $80 per controller for under 1 acre of landscaping, and $35 per station for over 1 acre of landscaping. This soil moisture sensor is just what you need alongside the last two devices that will really make your irrigation cycles efficient, and responsive to the changing environment. These sensors are placed to capture data about the moisture of the soil. Just like the weather information, if the soil is still most, it will let your irrigation controller know to not water it or water it less. When you buy one of these, from their list of qualifying models, it will tend to come with a sensor and a calibrator. You’ll need to get a irrigation controller if it doesn’t come with one. Unfortunately, you won’t be able to claim this rebate if you already claimed the rebate for the weather-based irrigation controller. Either you get the rebate for the controller, or for this moisture sensor. These sensors run from around $100 – $160 and the rebate is, again, $80 per sensor, or $35 per irrigation controller station. That concludes the water rebates I’ve found, although there might be more out there that I’ve missed. If you find any, send them my way at ali@groundworksandiego.org to spread the word. Check out the next one for a whole new crop of rebates and opportunities to start conserving water, energy, and money. Previous PostThe Chollas Creek Watershed Student Ambassadors Take Action!